We seek the submission of original research papers focusing on the following areas in Puerto Rican Studies: departmental founders and key players; the socio-historical contexts within which they arose; their mission and goals; and growing pains both internal (among the faculty and students) and external (among college departments, the local administration, CUNY Central, and NYC/NYS politicians and policies). How have the academy and CUNY changed as a result of PRS? While the focus is on the departments that have survived the socio-political-economic changes of the past five decades, it would also include the programs which began as Puerto Rican Studies in the senior and community colleges. The project will bring the discourse to the current situation of pan-ethnic Latin@/x studies and the transformations these departments experienced due to demographic changes in NYC. Some departments were reduced to programs while others remained; some altered their names deleting ‘Puerto Rican’ from their titles while some have kept it. Why? What are the pressures, strains, circumstances, challenges faced today as opposed to 50 years ago? How are they similar/dierent? Is there still a compelling need for these departments? What is the current thinking regarding the academic future of these departments? 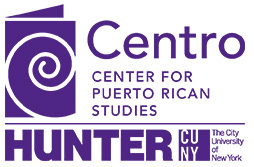 We seek the submission of photos, brochures, events flyers, relevant links/resources, and faculty and student reflections (written and audiovisual) from each of the PRS departments, programs, and institutes noted herein; they will be linked to the book project on the Centro website, resulting in an online archive of Puerto Rican Studies in CUNY. Deadline for abstract submissions of no more than 150 words with paper title and keywords is April 15, 2019. Deadline for final submissions is August 31, 2019. For more information on guidelines and submissions, contact María Pérez y González or Virginia Sánchez-Korrol at 50YEARSofPRS-CUNY@brooklyn.cuny.edu. © Center for Puerto Rican Studies. Published in Centro Voices 20 March 2019.